I’ve pimped Amerigo Gazaway’s mash-up work for a few years. He has this unique ability to combine classic soul/jazz/RnB with old school hip-hop to make seamless works. Some of my past favorites are the Cool-Out Corner mix, Fela Soul the De La Soul & Fela Kuti collab and Mos Def & Marvin Gaye double albums. That Cool-Out Corner mix is a staple of our summer pool parties and is absolutely timeless. 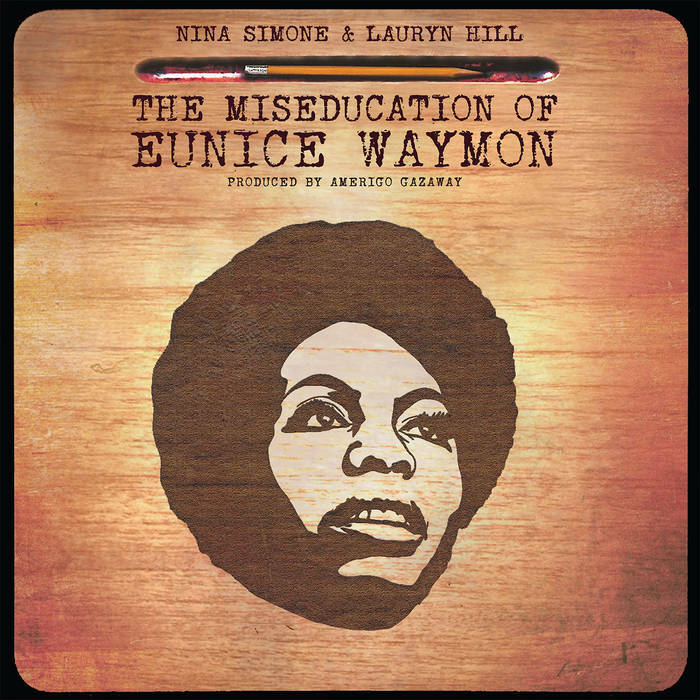 This time he’s combined Nina Simone with Lauryn Hill to create The Miseducation of Eunice Waymon. There was already a solid amount of overlap between the two artists because Lauryn has name checked Ms. Simone numerous times. However combining that lo-fi sounds of Nina’s 40+ year old albums with the more modern (yet classic) Ms. Hill’s is breathtaking. It’s meticulously seamless and punchy and modern. The best part of this album? IT IS COMPLETELY FREE!